Lettering test and what I am working on. After Boston Comic Con I needed to reorder some of my comics for MICE in Sept. I discovered that my printer Comixpress has gone out of business. So now it will not be just as easy as pressing a Paypal button to get more comics made. 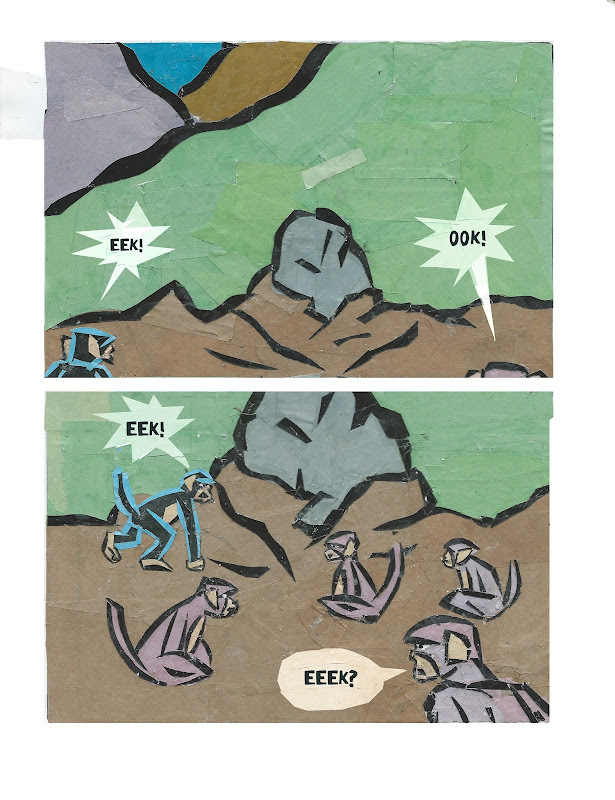 I have decided to re-letter the Monarch Monkey story and add all the unreleased pages in one 100 plus page book. Here is a sample of the new lettering above to the old.